In July 1944, the soldiers of the French Expeditionary Force in Italy wiped off the effects of their defeat of 1940. 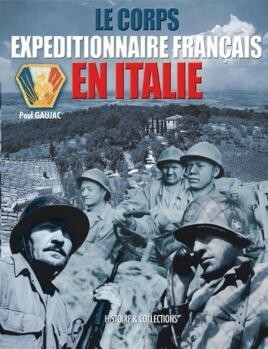 Unfortunately, due to sales rights restrictions, we cannot offer Corps Expeditionnaire Francais En Italie, 1943-1944 for sale in your country. Gaining the admiration of the Americans, they stretched the German defenses, which up to that point had been largely unchallenged, with an extraordinay mountain action around the Garigliano, they pushed back the German lines, opening the road to Rome for the Allies. This new book gives a detailed account of General Juin’s men, their organization, equipment, daily life on the front, etc. About twenty maps and hundreds of photographs are included.